You are likely aware of how desirable chrome is to most people. Consumers love the mirrored finish of chrome as it brings luster and beauty to whatever it is applied to. 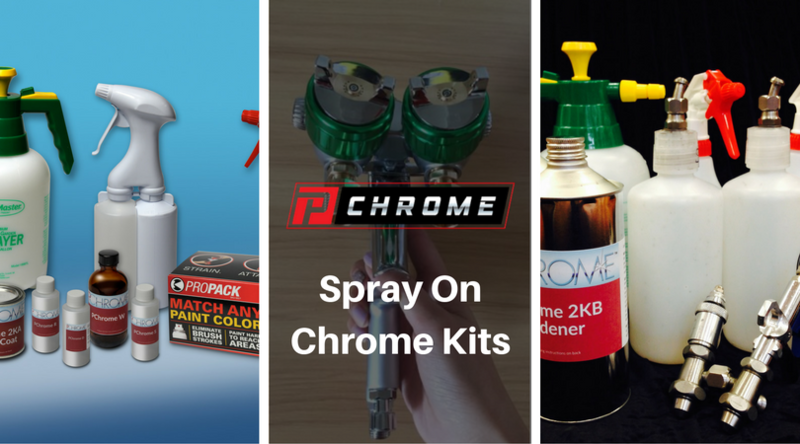 PChrome offers the top spray on chrome system that is available. With it, customers can achieve the same look and feel that they can get from traditional chrome plating but at a substantially lower cost. By becoming a spray chrome distributor, you can tap into the market and enjoy profits as you build your spray on chrome system business. By becoming a distributor, you can enjoy numerous benefits. You’ll want to make certain that the spray on chrome system that you offer is of the highest quality. PChrome has been making its product line since 1932 and offers chrome spray systems of unparalleled quality. This can help you to quickly build your customer base so that you can reap profits. By becoming a PChrome distributor, you’ll be able to sell our product to your business customers with little hassle. Since a majority of your customers will likely be auto-body shops, motorcycle businesses and others, they most likely have the equipment that they need, meaning that they will not be required to make expensive investments in equipment in order to use the chrome spray systems that they purchase from you. We offer drop shipments directly to your customers so that you will not have to store inventory. Our systems are designed to work with the equipment sold by our competitors, and we also provide the dual-nozzled spray gun that your customers need with the kits that they purchase. To learn more about becoming a PChrome distributor, contact us today by filling out your information in the form below. We will contact you shortly so that you can get started.